I hope the snow and cold weather hasn’t kept too many Juniors inside and not enjoying the fun mother nature provides. Craft projects are a fun way to fill our snow days when school has been canceled or delayed. Soon enough we will be seeing the flowers burst from beneath the frozen grounds. And we hope our Juniors will be the most welcome growth in our Granges. The +1 Program of the Junior Grange is the individual membership program for Junior Grange-age children within the Subordinate Grange. There have been many questions regarding how to implement this program. The biggest being how to obligate the children without a chartered Junior Grange already in place. That question was answered during the 148th Annual Session of the National Grange held in Sandusky, Ohio. During the Friday morning session, the National Junior Grange  Ambassadors led a presentation to show how a Subordinate Grange Master obligates an individual Junior Grange candidate. Patrick Lanstrum, 2014 National Junior Ambassador from Ohio was the Master. Alexis Kudsk, 2014 National Junior Grange Ambassador from Washington was the Lady Assistant Steward. They were helped by Michael Bethany, Florida, as Assistant Steward. Marching Candidates were Cassidy Renken and Kathryn Renken from Illinois. 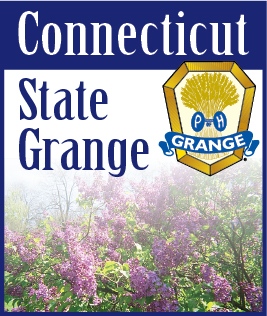 Please see the new Junior Grange Leaders Guidebook which explains the full procedure and contains the new obligation ceremony for the National Junior Grange 1+ Program.